Repeats every month on February on the third Thursday until Thu Mar 14 2019. Also includes Thu Mar 14 2019. 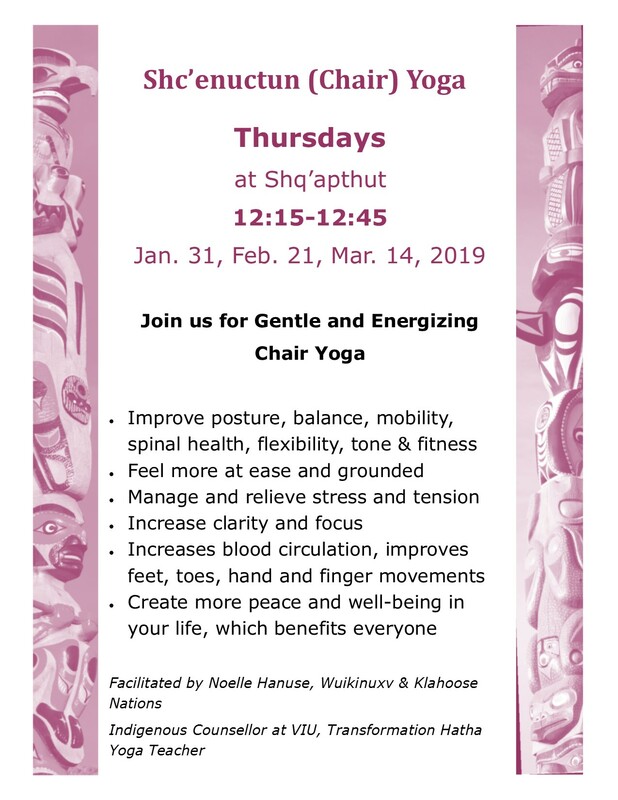 Join us for Gentle and Energizing Chair Yoga at Shq'apthut - A Gathering Place.